Pin105Share109TweetFlipEmail214 Shares Now that the weather is starting to warm up, I want to be spending more time OUTSIDE. But no matter how much time we spend outdoors, we eventually come back inside again and it’s always nicer to come back to a clean house. 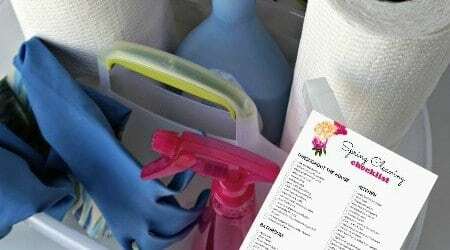 A deep spring cleaning is a great way to give … Continue reading Printable Spring Cleaning Checklist – Time to Clean!